Incremental cost-effectiveness ratios (ICERs) for Fast Track sample and subsamples (lower- and high-risk): incremental cost per case of conduct disorder (CD) averted. Each point represents the costs and effects of intervention/treatment (Tx) on the cost-effectiveness plane. The slope of the corresponding line is the incremental cost-effectiveness ratio. Effectiveness measure scaled such that the x-axis is the increase in nondisordered cases. Abbreviation: WTP, willingness to pay. Objectives To examine the cost-effectiveness of the Fast Track intervention, a multi-year, multi-component intervention designed to reduce violence among at-risk children. A previous report documented the favorable effect of intervention on the highest-risk group of ninth-graders diagnosed with conduct disorder, as well as self-reported delinquency. The current report addressed the cost-effectiveness of the intervention for these measures of program impact. Design Costs of the intervention were estimated using program budgets. Incremental cost-effectiveness ratios were computed to determine the cost per unit of improvement in the 3 outcomes measured in the 10th year of the study. Results Examination of the total sample showed that the intervention was not cost-effective at likely levels of policymakers' willingness to pay for the key outcomes. Subsequent analysis of those most at risk, however, showed that the intervention likely was cost-effective given specified willingness-to-pay criteria. Conclusions Results indicate that the intervention is cost-effective for the children at highest risk. From a policy standpoint, this finding is encouraging because such children are likely to generate higher costs for society over their lifetimes. However, substantial barriers to cost-effectiveness remain, such as the ability to effectively identify and recruit such higher-risk children in future implementations. The costs of a life of crime include government expenditures for criminal justice investigation, arrest, adjudication, and incarceration; costs to victims, such as medical costs, time missed from work, the value of stolen property, as well as loss of life; and costs that accrue to the criminal and his or her family, such as lost wages. In the most comprehensive analysis of its kind, Cohen4 estimates that high-risk youth may generate social costs approaching $2 million (current dollar value). This value is averaged across a range of likely values and based on the costs to society of 3 categories of individuals: career criminal ($1.3-$1.5 million), heavy drug user ($370 000-$970 000), and high-school dropout ($243 000-$388 000). The high costs of conduct problems—and the fact that a small proportion of children and youth account for a disproportionate share of crime and delinquency—suggest that society should consider devoting considerable resources to targeted prevention. As Russell5 argues, however, several features of prevention work against cost-effectiveness, even for effective programs. First, by its very nature, prevention involves expenditures in the present while the benefits accrue in the future. Because money now is worth more than money later, a dollar spent today has to generate more than a dollar's worth of benefits in the future. Second, because of imperfect targeting, prevention often expends resources on those who may not develop the problem or illness of interest. Those expenditures raise the costs of the program but generate little or perhaps even no return. These characteristics are especially applicable in the prevention of conduct problems. As noted, research suggests that intervention toward those at risk for these problems should begin early in life, before a series of self-reinforcing mechanisms become entrenched.6,7 Starting early may be necessary, but at the same time, doing so raises the bar for cost-effectiveness. Many of the costs of problem behaviors are realized during adolescence, so intervening early lengthens the time between when expenditures are made and when their payoff is realized. Furthermore, other research suggests that effective interventions target multiple aspects of a child's life (A.E. Olchowski, unpublished data, 2006).7,8 Selective interventions for higher-risk youth that have shown the most promise in the short-term are those that involve multiple components, such as Tremblay's Program and the Coping Power Program.9-11 While stacking intervention components may raise the likelihood of effectiveness, the effect on cost-effectiveness is uncertain. This article examines the cost-effectiveness of the Fast Track program: an intensive, multi-component intervention targeted to the prevention of aggression in young children. This project identified children at early ages and provided a range of intervention services during a 10-year period. Outcome analyses using an intent-to-treat design reveal that during the first 5 years the intervention was moderately successful in achieving its proximal goals of altering developmental processes related to conduct disorder, with effect sizes in the range of 0.2 to 0.5 standard deviations.12-15 By the end of ninth grade, however, the favorable effects of intervention were limited to the highest-risk group of youth. Among the highest-risk group, the youth assigned to the intervention had fewer than half as many cases of psychiatrically diagnosed conduct disorder as did the control group youth (Conduct Problems Prevention Research Group, unpublished data, 2006). Among the more moderate-risk youth, the differences between the intervention and control groups were not significant. While these effects of intervention are encouraging, the intervention is quite costly. The next section describes the intervention and the methodology used to estimate those costs. The following section presents incremental cost-effectiveness ratios for the measures of conduct disorder, interpersonal violence, and index crimes. Finally, a discussion considers the public policy implications. In this section we describe the intervention and the budget evaluation that provided data for these analyses. We also describe our cost-effectiveness methodology. The Fast Track project is a randomized trial designed to evaluate a comprehensive intervention. Intervention components are delivered in first through 10th grade and target multiple critical determinants of development: parenting, peer relations, and social-cognitive and cognitive skills. During the elementary- school phase of the intervention, all families were offered parent training with home visiting, academic tutoring, and social skill training. Parent and child group interventions were conducted during a 2-hour enrichment program held at the school building on Saturdays or weekday evenings. During the first 60 to 90 minutes of this enrichment program, target at-risk children met in groups of 5 or 6, called friendship groups, which were led by educational coordinators and coleaders, while parents met in a group led by family coordinators to discuss parenting strategies that would support their child's school adjustment and improve child behavior. In the next 30 minutes, parent-child pairs participated in positive cooperative activities and practiced positive parenting skills with staff support (parent-child sharing time). Academic tutoring to promote reading skills was provided by paraprofessional tutors in the last 30 minutes of the group meeting and twice more each week during school hours to all children in first grade. Group meetings were held weekly during first grade for 22 sessions, biweekly during second grade for 14 sessions, monthly during third through fifth grade for 9 sessions each year, and 4 times during sixth grade. In addition to the group meetings, individual support was provided through peer pairing and home visiting to children and parents to help them generalize the skills presented in the group setting and to address individual needs. Tutors provided a weekly session for pairing with popular peers to enhance friendships. Children and families received a standard level of services in first grade, to the extent that they could be delivered. In subsequent years, criterion-referenced assessments were used to adjust the dosage of some of these components to match the level of functioning of each family and child. In second grade and beyond, each child was assessed by the teacher for reading performance in the classroom. Children who scored in the lowest one third of the classroom were targeted for reading tutoring. Similar assessments and individualized services were completed for other types of tutoring, home visiting, peer coaching, mentoring, and after-school programming. A mentoring program was added in fourth grade to provide same-gender, same-race role models to promote children's positive identity development, if indicated by criterion-referenced assessments. Monthly group sessions for parents and youth continued in fifth and sixth grade to deal with the challenges of transitioning into middle school, resisting drug use, and sexual development. In seventh and eighth grade, workshops relating to identity and vocational goal setting were held. The intervention is being evaluated through a multi-cohort, multi-site, multi-year study of program participants and comparable children and youth in similar schools, and that study provides the data for these analyses (Conduct Problems Prevention Research Group, unpublished data, 2006).12-15 In particular, schools within 4 sites (Durham, NC; Nashville, Tenn; Seattle, Wash; and rural central Pennsylvania) were identified as high risk based on crime and poverty statistics of the neighborhoods they served. Within each site, the schools were divided into sets matched for demographics (size, percentage of free or reduced lunches, ethnic composition); the sets were then randomly assigned to intervention and control conditions. Within participating schools, evaluation participants were identified using a multiple-gating procedure. For each of 3 annual cohorts, all kindergarteners in 54 schools (9594 total children) were screened for classroom conduct problems by teachers. Those children scoring in the top 40 percent within the cohort and site were then solicited for the next stage of screening for home behavior problems by the parents, and 91% agreed (n = 3274).17 The teacher and parent screening scores were then standardized and combined into a sum score, based on the screening of a representative sample of about 100 children within each site (which also served as a normative comparison). These summed scores represented a total severity-of-risk screen score. Children were selected for inclusion into the study based on this screen score, moving from the highest score downward until desired sample sizes were reached within sites, cohorts, and conditions. Deviations were made when a child failed to matriculate in the first grade at a core school (n = 59) or refused to participate (n = 75), or to accommodate a rule that no child would be the only girl in an intervention classroom. Ninety-five percent of the selected sample scored in the top 20% on both the parent- and teacher-screening measures. The outcome was that 891 children (n = 445 intervention, n = 446 control) participated. Note that these levels of problems are defined relative to other children in these high-risk schools. On the kindergarten teacher's report form of the Child Behavior Checklist, which provides national norms, the average externalizing T-score (available for 88% of the high-risk sample) was 66.4. Seventy-six percent of these children scored in the clinical range (T-scores of 60 or higher). The study has collected data from a range of people—the youth themselves, caregivers, teachers, and peers—and has obtained key archival data as well (such as school records). Over time, rates of attrition have been modest; 83% continued to provide data at the 10th year of follow-up. Participation was defined as attendance at 1 or more group sessions. Ninety-six percent of parents and 98% of children participated during first grade (or year 2 of the project). Of these families, 79% of parents and 90% of children attended at least 50% of all sessions. In second grade, 88% of parents and 92% of children participated, with 79% of parents and 87% of children attending at least 50% of all sessions. In third grade, 80% of parents and 86% of children participated, with 78% of parents and 84% of children attending at least 50% of all sessions. The proportion of families unable to participate in the intervention increased modestly across the years, primarily because of moves out of the area. In the last year of the group sessions (sixth grade), 43 of the 445 intervention families (10%) did not participate but had still received the majority of the services in previous years. The cost-effectiveness analyses focus on 3 key long-term outcomes. The first is a diagnosis of conduct disorder, defined as “a repetitive and persistent pattern of behavior in which the basic rights of others or major age-appropriate societal norms or rules are violated.”18 This diagnosis was determined using the Diagnostic Interview Schedule for Children,19 which provides a highly structured, laptop computer–administered, clinical interview to assess DSM-IV psychiatric disorders in children and adolescents aged 6 to 17 years. Interviewers not informed about intervention status were trained to criterion. Administration took place during the summer preceding 10th grade in the child's home with the primary caregiver (usually the mother). The primary outcome of interest was the diagnosis of conduct disorder. The cost-effectiveness ratios presented below represent the costs per case of conduct disorder averted, index criminal offense avoided, and act of interpersonal violence avoided. A key task in this process involved identifying the portion of total project costs that were used for intervention delivery. The principal resource for the intervention involved personnel, so the first step in estimating these costs was documenting salary/amount paid per person who had worked for Fast Track in any year. These amounts were then allocated based on the degree to which each person was involved with intervention services rather than research. Those who were exclusively involved in administrative or research tasks were not included in personnel dollar sums. Amounts for individuals in shared positions were allocated based on the principal investigators' estimation of how duties were divided (for instance, educational coordinators were allocated at 20% intervention during the summer months when research interviews were occurring). Fringe amounts were either explicitly available or calculated from obtained fringe rates. Nonpersonnel amounts were recorded from budget accounts and marked as intervention-related or other (ie, research or administrative related). If information was not available to identify the exact amount, costs were allocated according to percentage of total (personnel) salary devoted to intervention. For instance, costs with unidentified purpose (eg, miscellaneous supplies) were assumed to occur proportionally to the percentage of total Fast Track personnel working for the intervention component during that month. If overhead costs such as rent were absorbed by the university overseeing research at each site, then overhead amounts were added to these estimates. Unless other information was available, a standard 20% was added to represent these costs. This figure was calculated as the difference between the on-campus and off-campus rates. Our sense was that the discount the university gives for leaving campus reflects the costs of being on campus (ie, of rent and utilities). The key question is whether the ICER of a new intervention, relative to an existing one, exceeds a policymaker's or society's willingness to pay (λ) for improvements in the outcome of interest. If the ICER is less than λ, then the new technology or intervention is desirable. Because of sampling error, this inequality is probabilistic, and thus some measure of this uncertainty is needed. This uncertainty was gauged using bootstrapping,24 which involves taking numerous subsamples of the full data to estimate variation in group estimates. (For our estimates, we generated 1000 bootstrapped samples.) An advantage of bootstrapping is that error variation due to sampling does not rely on distributional assumptions for the outcomes of interest. Table 1 describes the Fast Track sample used in these analyses. The table columns provide figures separately for intervention and control cases as well as by level of initial risk, where higher-risk children are those above the 90th percentile on screening measures, and lower-risk children are those recruited into the intervention sample despite being less at risk (between the 70th and 90th percentile). As discussed above, initial risk has been identified as a significant moderator of intervention impact. The top section of Table 2 presents the ICERs for the entire sample for the 3 outcomes. Each is calculated as the costs of the program divided by the incremental impact of the program. The first of these represents the cost of the program per case of conduct disorder averted ($3 481 433). The second represents the cost per (index) crime averted ($423 480). The third represents cost per act of interpersonal violence averted ($736 010). The resulting standard errors for all 3 estimates are large and were determined using bootstrapping. The sampling variability exhibited in Table 2 must be acknowledged when considering the ICER estimates. A useful approach here is to consider the probability that the intervention was cost effective. Table 2 provides the cost-effectiveness probabilities (p1) in the fourth column, derived as the proportion of bootstrapped samples with ICERs below willingness-to-pay thresholds listed. Using these criteria, the estimated probability of cost-effectiveness among the full Fast Track sample was either 1% (for conduct disorder and index crime outcomes) or zero (for the interpersonal violence outcome). While not cost-effective, the positive ICERs are indicative that the program was effective for these outcomes. The probability of an effective result can be determined from the fifth column in Table 2, which provides the probability of a negative ICER (p2). Based on all bootstrapped sample estimates, the probability that the intervention was effective (ie, a positive ICER, but not necessarily cost-effective) is calculated as 82% for the conduct disorder outcome, 92% for the index crime outcome, and 93% for the interpersonal violence outcome (these are the same as 1 − p2 in Table 2). As noted, prior analyses have detected a substantial interaction of intervention impact with initial risk status (Conduct Problems Prevention Research Group, unpublished data, 2006). Reflecting those analyses, we considered differential cost-effectiveness. The middle and lower sections of Table 2 present the ICERs for the lower- and higher-risk groups, respectively. The lower-risk group has negative ICERs for all 3 outcomes. In contrast, the higher-risk children have positive ICERs for all 3 outcomes. For the conduct disorder and index crime outcomes among the higher-risk group, the ICERs are cost-effective (less than the $1 million and $160 000 thresholds, respectively). The interpersonal crime outcome is not cost-effective for the higher-risk group as defined by the criteria in this study. 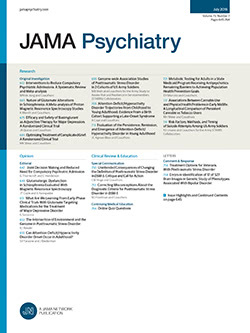 Considering all bootstrapped observations for the higher-risk group, the estimated probability of cost-effectiveness (ie, probability that the ICER is less than defined willingness-to-pay values) is 69% for the conduct disorder outcome, 57% for the index crime outcome, and 0% for the interpersonal violence outcome. Among the low-risk group, none of the bootstrapped samples yielded a cost-effective outcome. The contrast between lower- and higher-risk groups is also apparent for overall effectiveness rates. The low-risk group demonstrates higher probabilities for negative effects (negative ICERs) whereas the probability for intervention effectiveness (positive ICERs) is calculated as 99% (or 1 − 0.01) for all 3 outcomes among the higher-risk group. Using the so-called cost-effectiveness plane, the Figure provides a visual representation of the relationship between costs and effects. For simplicity, we only present this for the diagnosis of conduct disorder. The figure plots these estimates for all youth in the study and for those at higher and lower risk as defined by behavior problems at baseline. The dashed lines at 0 (incremental) costs and no impact divide the plane into 4 quadrants. (The bottom 2 are irrelevant in this case as the intervention was more costly.) The vertical (dashed) line at 0 incremental effectiveness provides a threshold for whether or not the intervention is effective (reduces or increases conduct disorder). For each point, the slope of a line from that point to the origin equals the ICER. A key feature of this figure is the visual representation of society's willingness to pay to avert a case of conduct disorder (λ in the discussion above). The willingness-to-pay line on this graph represents the limit for how much society is willing to pay in incremental intervention costs given a certain effect size of the intervention. Points to the right of that dashed line represent samples for which the intervention is cost-effective. The ICERs that fall in the area above the willingness-to-pay line but in the northeast quadrant represent samples for which the intervention is beneficial but not cost-effective (for a given value of λ). The triangle labeled “All” represents the ICER calculated using the full sample: $3.48 million per case averted (as in Table 2). This figure is above $1 million and indicates that the intervention is likely not cost-effective. As noted, given the standard error for the ICER, the chance that the ICER is less than $1 million is 1%. The difference between the 2 subgroups is also represented. The ICER for the lower-risk group is to the left of the vertical line at 0, indicating that the intervention was not effective for those children. In sharp contrast, the higher-risk group shows positive intervention effects and is to the right of the willingness-to-pay (cost-effective) line. The Figure does not take into account sampling variation. This is especially important given the location of the ICERs relative to key thresholds. For instance, it is not likely that all samples from the same population would result in a cost-effective ICER estimate for the higher-risk group on the conduct disorder outcome given the standard errors indicated by bootstrapping (to the right of the willingness-to-pay line in the Figure). At the same time, not all samples would result in negative ICERs for the low-risk group. Figures showing the bootstrapped samples are available from the first author. This article suggests that expensive interventions still may be cost-effective, but the intervention must target a population that is particularly costly to society when left untreated. A condition such as conduct disorder (and the subsequent violent behavior that often results from it) creates enormous public costs, so societal willingness to pay is likely quite high. Of course, this condition is necessary but not sufficient for an intervention to be cost-effective. Our analyses suggest that the likelihood of cost-effectiveness for reducing conduct disorder for those most at risk approaches 70%. As noted throughout the text, this finding depends on a series of assumptions, such as the discount rate used to measure future program costs and benefits. A sensitivity analysis suggests that a 3% rate would produce very similar results. It is also important to note that the intervention produced no benefits for a substantial portion of the sample. This finding is rather striking given that these youth were still at heightened risk for long-term problems—they live in high-poverty neighborhoods and manifested greater problems at younger ages than did their peers. One possibility for these youth might be to intervene earlier. Earlier intervention may help those at the highest risk, as well. However, intervening even earlier creates additional barriers to cost-effectiveness. The benefits of the intervention still will be incurred during adolescence, and those benefits will be discounted even further. In addition, identifying these children before they enter school may prove rather challenging. One possibility would be to work with day care or prekindergarten programs. As more children, especially poor children, enter such programs, early identification and intervention may become more cost-effective. Another possibility is that the intervention actually was too early rather than too late. Most evaluations of the early starter model use age 14 years as the cut-off point for early and late starters, which is roughly the age of the sample when these outcomes were measured.26 The data from parents on conduct disorder diagnoses at the end of ninth grade would support this conclusion to some extent, since both the lower-risk intervention and control groups have lower rates than the higher-risk intervention group. By including these lower-risk children in the sample, some children who did not really fit the early starter profile may have been added to the sample. It is possible that more of these lower-risk youth will enter the heightened delinquency phase of adolescence in subsequent years because they live in high-poverty neighborhoods and will be subject to the pressures and temptations to engage in delinquent acts. If this is true, a better test of effectiveness with these lower-risk youth may be made in a few years. The other conclusion that could be reached about this lower-risk group is that the intervention simply was not appropriate for them, for reasons that cannot be known at this point. The likelihood of cost-effectiveness critically depends on whether conduct disorder manifests itself in delinquency and crime over time. That the likelihood of cost-effectiveness was lower for index offenses and absent for interpersonal violence during the course of the study must temper claims for cost-effectiveness. The probability of cost-effectiveness might be improved in several ways. Fast Track was designed to be an effective program, not (necessarily) a cost-effective program. Thus investigators were focused on maximizing intervention effectiveness. A future trial might improve the cost-effectiveness of the intervention by eliminating or reducing intervention components. Removing costly components that do not contribute to intervention effects will clearly improve results. More generally, reducing the program's costs can improve the intervention's cost-effectiveness even while reducing its overall effectiveness. This area is one for future research. The study has several limitations. First, the outcomes used to gauge cost-effectiveness are from parent- and youth-report measures and thus reliant on the accuracy of the respondent. Respondents face some incentive to underreport offenses, especially those for which they have not been punished. There is no reason to believe that underreporting would differ between the intervention and control groups, although it may be that respondents in the intervention were more honest with interviewers because of their familiarity with the project. Second, judgment of intervention effectiveness was based on 1 year of assessment. These analyses assume that the intervention effects will persist and that the measures considered here are good proxies or at least strong predictors for the life-of-crime outcome. To the extent that this relationship is weaker or uncertain, the likelihood of cost-effectiveness may very well be lower than that reported here. On the other hand, age 14 years is still on the early side of the adolescent delinquency curve and more solid evidence on who can be projected for long-term criminal activity may emerge from subsequent assessment. Additionally, it is important to note that the relationship between conduct disorder and a life of crime is likely strongest for those individuals most at risk initially. These are the individuals likely targeted by a future implementation of the program. Third, the measure of willingness to pay is based on the experiences of other individuals in other studies. The uncertainty surrounding those figures can be reduced by measuring the public and social costs of the behaviors of these particular individuals. Such work would lead naturally to a full benefit-cost analysis and is under way. That analysis might include a broader range of outcomes than those considered here. The discussion of willingness to pay focuses on the public and social costs of crime. However, youth with conduct disorders are at risk for a range of other negative outcomes, such as school failure. Our analyses here focused on crime and delinquency, because such behavior was the focus of the intervention. However, those behaviors may mediate the effect of the intervention on other outcomes, further raising societal willingness to pay for a program reducing them. Thus, results presented here are best judged as conservative. These analyses highlight the importance of targeting the intervention to those most at risk. For those individuals, the intervention appears more effective. Societal willingness to pay is likely even larger for these individuals, further increasing (the likelihood of) cost-effectiveness. Even among all individuals in the targeted groups, these individuals likely account for a disproportionate share of violent and other crimes. Targeting, however, has other implications. In particular, cutting the scale of the program in half may raise costs still higher. One way to keep those costs down might be to combine cohorts. For example, one might allow children to enter the program when aged 5 or 6 years. Program size also might be increased by drawing children and youth from a larger geographic area. Such an expansion, however, would have to be carefully planned. Increasing the catchment area might draw in lower-risk youth. The screening method used in this study defined participants in terms of relative risk, and so changing the population sampled might change the overall level of absolute risk as well. An added issue related to program scale involves effectiveness. It is not clear whether the participation of the lower-risk children in the intervention was important to producing the program's benefits for those initially at greater risk. Such a relationship seems more likely for the group-based components of the intervention. Finally, it is worth noting that economic analysis is unlikely to show that a program like Fast Track will ever be self-financing—ie, that they can generate cost savings that completely cover the costs of the program. Many of the benefits of the program involve reduced tangible or intangible costs borne by other members of society. Those savings will never appear in public budgets. Of course, the same is true of other government programs, such as public education. These programs generate public and private benefits that accrue over time; that some of the returns may not appear in public budgets is irrelevant. Society recognizes the responsibility for educating young people. The same could be said for providing troubled young people with the skills they need to avoid a lifetime of failure. Correspondence: E. Michael Foster, PhD, School of Public Health, University of North Carolina, Chapel Hill, Rosenau Hall, Campus Box 7445, Chapel Hill, NC 27599-7445 (emfoster@unc.edu). Submitted for Publication: May 19, 2005; final revision received March 20, 2006; accepted March 24, 2006. Financial Disclosure: Drs Dodge, Greenburg, and McMahon have a contract with Oxford Univeristy Press to publish Fast Track curriculum. Funding/Support: This work was supported by National Institute of Mental Health (NIMH) grants R18MH48043, R18MH50951, R18MH50952, and R18MH50953. The Center for Substance Abuse Prevention and the National Institute on Drug Abuse also have provided support for Fast Track through a memorandum of agreement with NIMH. This work was also supported in part by Department of Education grant S184U30002 and NIMH grants K05MH00797 and K05MH01027. The economic analysis of the Fast Track project is supported through NIMH grant R01MH62988.